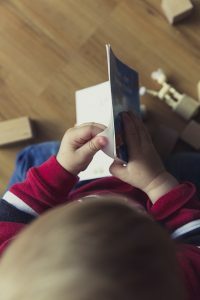 In many ways, proofreading books for children isn’t that different from proofreading any other material … but there are a few extra things to look out for, especially in highly illustrated titles. Many children’s books, especially non-fiction titles, feature interactive elements such as flaps, pop-ups, stickers and activities. If you’re proofreading on screen, you’ll see the pages in two-dimensional form, but be aware that you might need to consider how different elements of the book would work together in real life. (Would the outline provided fold up into a model of a robot? Are there really 10,000 stickers, as claimed on the cover?) You won’t necessarily need to print things out to get the job done, but you might need to sense-check activities, cross-reference different parts of the product, or count particular elements (all 10,000 of them). Make sure you factor this in to the time you allow to proofread the book, even if the word count is tiny, and consider using a second screen if you don’t already, to speed up the work and increase your accuracy. When it’s an ebook or an app – both popular formats for children’s books, and with a different set of considerations from physical books. You might be asked to check how a highly illustrated layout transfers to ebook format, for example, possibly with reflowable text. Are all the elements still there, in a sensible order? With ebooks and apps, you’ll need to find the most sensible way of returning comments, which might not take the form of a more traditional mark-up, but could instead be a list of corrections. With apps you’ll need to make sure you’ve checked and clearly recorded corrections to all the places where text appears – which might not be easy to deal with in a linear way. In some ways, children’s books seem too easy. In books for younger readers in particular, you might have as few as twenty words. (Your per-thousand word rate is likely to be reassuringly astronomical!) However, the lack of text can be almost intimidating. Any remaining mistakes have nowhere to hide, and will come back to haunt you for all eternity … or until the books are pulped. Make triply certain that the title on the spine matches the title on the cover and on the title page, for example. Surprisingly often, it doesn’t. In boring old adult books, usually you start reading at the top left of a page, and keep plugging away until you get to the bottom right, and then start the process all over again. This isn’t necessarily so in children’s books, where layouts can be considerably more dynamic, with smaller blocks of text arranged across the page or spread, integrated with the pictures, and interspersed with smaller text elements such as boxes, captions and annotations. Pay attention to the reading order of the different elements – it needs to be logical. Sometimes, captions will be the only part that is read, so these need to stand alone. They should work hard, add value to the picture they refer to, and not simply repeat part of the main body text. It seems obvious, but it’s easily overlooked: annotations need to refer to the part of a picture they are pointing to. Whatever we edit or proofread, we need to consider the intended reader. But with children as the audience, there are extra considerations. Is the text legible? Are the fonts used appropriate? Although by the time you are proofreading, basic decisions such as font choice will have been made long ago in the process, you might still find instances where things need to be tweaked to help a young readership. Also look out for words, especially technical terms or jargon, that don’t fit the reading age or need to be explained where they appear. Children’s publishers often have guidelines for authors and editors on inclusion and diversity. Although these aspects should be considered from the outset of a project – or rather, as this article argues, a book should ‘be diverse without diversity being its selling point’ – it’s still an important aspect of children’s publishing for proofreaders and copy-editors to be aware of. 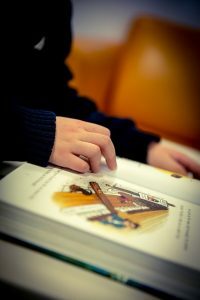 You might think of yourself as a word person, but in many children’s books, much of the sense comes from the pictures, so you must pay as much attention to them as to the text. If the text describes something shown in a picture, such as a colour, does the picture reflect that? If the pictures show a step-by-step process, are they in the right order? Many children’s books are commissioned in the knowledge that they will be co-editions, or sold into a range of territories. Often you will need to look out for parochial details in the images that could limit a book’s marketability, such as obviously right-hand-drive cars, or very British-looking police uniforms. Finally, think about the best way to mark up a highly illustrated book. Your client might have guidelines on how they want you to mark up PDFs, but remember that marks can easily be overlooked on busy, brightly coloured backgrounds. If you think a mark might be lost, draw a big box around it or highlight it with a helpful arrow. Go for maximum clarity. Liz Jones worked in-house for two children’s publishers between 1998 and 2005, and still proofreads children’s books alongside a range of other freelance editorial work for publishers, business clients and individuals. When not editing she writes fiction, and also blogs about editing and freelancing at Eat Sleep Edit Repeat. Proofread by SfEP Entry-Level Member Sarah Dronfield. 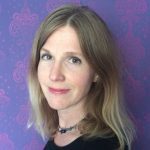 This entry was posted in Professional development, Specialisms and tagged apps, children, Children's Book Week, ebooks, fiction editing, non-fiiction editing, proofreading, young people on November 3, 2016 by Abi Saffrey.